The Institution has an arrangement with HBOS to provide IAP members with a Stakeholder Pension on exceptional terms. The scheme is open to IAP members, their families and anyone else who has a meaningful association with the Institution. Even if you are already in a scheme run by your employer, your spouse can still have an IAP pension. So can your children, and there is no minimum contribution. A key advantage of the stakeholder pension is the low annual charge. With the IAP scheme this starts at just 0.75%. Better still, as the total paid into the scheme grows, this percentage will fall. As charges fall, each individual in the scheme benefits from the contributions made by all the other members. 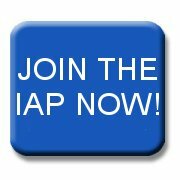 Members who are interested in setting up an IAP stakeholder pension should call the IAP office. We will forward your name to HBOS with confirmation of your current IAP membership and someone from the company will contact you directly.